1. Mortal lovers must not try to remain at the first step; for lasting passion is the dream of a harlot and from it we wake in despair. 2. Love is not affectionate feeling, but a steady wish for the loved person’s ultimate good as far as it can be obtained. 3. To love at all is to be vulnerable. Love anything, and your heart will certainly be wrung and possibly be broken. If you want to make sure of keeping it intact, you must give your heart to no one, not even to an animal. Wrap it carefully round with hobbies and little luxuries; avoid all entanglements; lock it up safe in the casket or coffin of your selfishness. But in that casket—safe, dark, motionless, airless—it will change. It will not be broken; it will become unbreakable, impenetrable, irredeemable. The alternative to tragedy, or at least to the risk of tragedy, is damnation. The only place outside Heaven where you can be perfectly safe from all the dangers and perturbations of love is Hell. 4. For this is one of the miracles of love; it gives—to both, but perhaps especially to the woman—a power of seeing through its own enchantments and yet not being disenchanted. 5. Love is something more stern and splendid than mere kindness. 6. Love may forgive all infirmities and love still in spite of them: but Love cannot cease to will their removal. 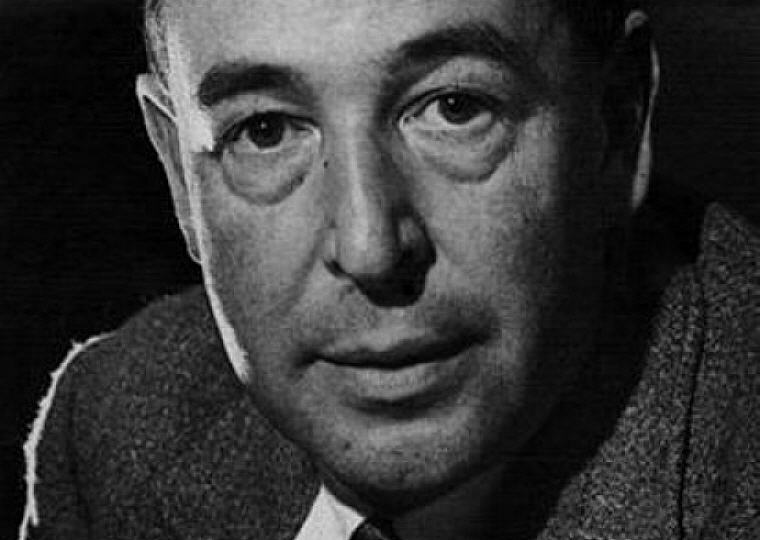 Excerpt from Wikipedia: Clive Staples Lewis (29 November 1898 – 22 November 1963), commonly referred to as C. S. Lewis and known to his friends and family as Jack, was an Irish-born British novelist, academic, medievalist, literary critic, essayist, lay theologian and Christian apologist. He is also known for his fiction, especially The Screwtape Letters, The Chronicles of Narnia and The Space Trilogy. 1. Affection is responsible for nine-tenths of whatever solid and durable happiness there is in our lives. 2. I do not think the forest would be so bright, nor the water so warm, nor love so sweet, if there were no danger in the lakes. 3. We all want progress. But progress means getting nearer to the place where you want to be. And if you have taken a wrong turning, then to go forward does not get you any nearer. If you are on the wrong road, progress means doing an about-turn and walking back to the right road; and in that case the man who turns back soonest is the most progressive man. 4. Keep back nothing. Nothing that you have not given away will be really yours. 5. It may be hard for an egg to turn into a bird: it would be a jolly sight harder for it to learn to fly while remaining an egg. We are like eggs at present. And you cannot go on indefinitely being just an ordinary, decent egg. We must be hatched or go bad. 6. Even in social life, you will never make a good impression on other people until you stop thinking about what sort of impression you are making. Even in literature and art, no man who bothers about originality will ever be original: whereas if you simply try to tell the truth (without caring twopence how often it has been told before) you will, nine times out of ten, become original without ever having noticed it. 7. If the whole universe has no meaning, we should never have found out that it has no meaning: just as, if there were no light in the universe and therefore no creatures with eyes, we should never know it was dark. Dark would be a word without meaning. 8. Friendship is unnecessary, like philosophy, like art, like the universe itself (for God did not need to create). It has no survival value; rather it is one of those things which give value to survival. 9. We need others physically, emotionally, intellectually; we need them if we are to know anything, even ourselves. 10. Enough had been thought, and said, and felt, and imagined. It was about time that something should be done. 11. Has this world been so kind to you that you should leave it with regret? There are better things ahead than any we leave behind. 12. Don’t use words too big for the subject. Don’t say “infinitely” when you mean “very”; otherwise you’ll have no word left when you want to talk about something really infinite. 13. The task of the modern educator is not to cut down jungles but to irrigate deserts. 14. Courage is not simply one of the virtues, but the form of every virtue at the testing point. 15. Envy is insatiable. The more you concede to it the more it will demand. 16. There seems to be hardly any one among my acquaintance from whom I have not learned. 17. In other words we must divert our efforts from our general condition or frame of mind (which we can’t alter by direct action of the will) to what is in our power—our words and acts. Try to remember that the ‘bottomless sea’ can’t hurt us as long as we keep on swimming. 18. For what you see and hear depends a good deal on where you are standing: it also depends on what sort of person you are. 19. The very man who has argued you down will sometimes be found, years later, to have been influenced by what you said. 20. I do not believe one can settle how much we ought to give. I am afraid the only safe rule is to give more than we can spare. 23. Now Faith, in the sense in which I am here using the word, is the art of holding on to things your reason has once accepted in spite of your changing moods. 24. Before we can be cured we must want to be cured. Those who really wish for help will get it; but for many modern people even the wish is difficult. 25. A proud man is always looking down on things and people: and, of course, as long as you are looking down, you cannot see something that is above you. 26. Nothing can seem extraordinary until you have discovered what is ordinary. Belief in miracles, far from depending on an ignorance of the laws of nature, is only possible in so far as those laws are known. We have already seen that if you begin by ruling out the supernatural you will perceive no miracles. We must now add that you will equally perceive no miracles until you believe that nature works according to regular laws. If you have not yet noticed that the sun always rises in the East you will see nothing miraculous about his rising one morning in the West. 27. When we lose one blessing, another is often most unexpectedly given in its place. 28. Aristotle said that some people were only fit to be slaves. I do not contradict him. But I reject slavery because I see no men fit to be masters. 29. If we are going to be destroyed by an atomic bomb, let that bomb when it comes find us doing sensible and human things — praying, working, teaching, reading, listening to music, bathing the children, playing tennis, chatting to our friends over a pint and a game of darts — not huddled together like frightened sheep and thinking about bombs. They might break our bodies (a microbe can do that) but they need not dominate our minds. 30. Good and evil both increase at compound interest. That is why the little decisions you and I make every day are of such infinite importance. 31. No man knows how bad he is till he has tried very hard to be good. A silly idea is current that good people do not know what temptation means. This is an obvious lie. Only those who try to resist temptation know how strong it is. After all, you find out the strength of the German army by fighting against it, not by giving in. You find out the strength of a wind by trying to walk against it, not by lying down. A man who gives in to temptation after five minutes simply does not know what it would have been like an hour later. That is why bad people, in one sense, know very little about badness. They have lived a sheltered life by always giving in. 32. I know all about the despair of overcoming chronic temptations. It is not serious, provided self-offended petulance, annoyance at breaking records, impatience etc. don’t get the upper hand. No amount of falls will really undo us if we keep on picking ourselves up each time. We all shall of course be v. muddy and tattered children by the time we reach home. But the bathrooms are all ready, the towels put out, and the clean clothes are in the airing cupboard. The only fatal thing is to lose one’s temper and give it up.